John W. Cannavino is a Principal in Cummings & Lockwood's Litigation Group and is based in the Stamford office. He is the Chair of the Litigation Group and a member of the Board of Directors and brings over 40 years' of broad-based experience to the practice. 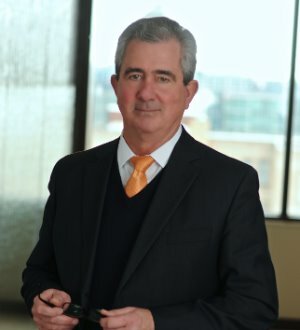 John has extensive experience in complex commercial litigation, including securities litigation, insurance coverage disputes, corporate and partnership dissolutions, merger litigation, contract disputes, real estate litigation, restrictive covenant and trade secrets litigation and intellectual property litigation. He has tried numerous cases in state and federal courts.